Every child deserves two involved parents – even if they don’t live together. If you’re behind on child support payments and feeling like you’re not a part of your kid’s life, ELEVATE (Empowering Lives through Education, Vocational, Assessment, Training and Employment) can help you change that. We can also help you get ready for a rewarding career. Be the great parent that your kids deserve. ELEVATE can help you become more involved in your children’s lives, both financially and emotionally. 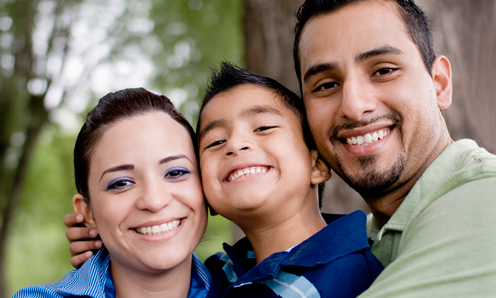 Kids with two parents routinely lead healthier and happier lives. Contact us for more information. Joshua’s story is filled with pain and triumph. He had a very rough childhood and spent his teens in foster care. When he became an adult and had a child of his own, he wasn’t able to be the father he wanted to be. The ELEVATE program changed his life in many ways. “Going through the program gave me hope,” he said. When he got a job he was able to be part of his son’s life. He also reconnected with his brother after 20 years apart. Together they have been able to heal from their past. Congratulations, Joshua. We’re proud to have worked with you.